Is the Organic Label as Valuable as You Thought? Organic food sales are booming. Question is, though, can consumers trust the label or does it bear too many blemishes to have credibility? Food labels are a dime a dozen these days. Yet, while many hold little to no merit– think “natural” and “free-range” – others, particularly “organic,” must comply with strict government standards. Those standards, established under the Organic Foods Production Act of 1990, make these products subject to inspection and require that their cultivation follow approved practices and use only allowed substances. By all accounts, organic food sales are booming. According to a survey by the Organic Trade Association, 82 percent of American households buy organic on a regular basis, pushing total U.S. organic sales in 2016 to almost $50 billion. Overall, organic accounts for five percent of total food sales in this country, which may be attributed to organics going mainstream. Now that stores like Wal-Mart, Safeway and Albertsons have expanded their selection of organics, the cost has become more affordable. According to a Consumer Reports study, a handful of organic items cost no more than their non-organic counterparts. Yet that still begs an obvious question: Can consumers have confidence in the label? The answer requires a little digging. The organic label got its start in 1990, when a few farmers united to counter industrial farming practices such as pesticide-laden crops and antibiotic-riddled livestock. “These farmers wanted to operate in a way that aligned with their philosophy that ecosystems should be protected, biodiversity benefited farmers, and conservation of resources was vital for food security,” says Cameron Harsh, senior manager of organic and animal policy for the Center for Food Safety in Washington, D.C. They needed a way to communicate that, and so random certifying agencies sprang up to identify farmers who were operating this way. Yet there were variations in the definition of organic from state to state, which meant that the requirements for farmers in California might be different from those in Georgia. So, to level the playing field, farmers came together to ask the United States Department of Agriculture (USDA) to create a national standard, and the organic label was born. For fruits and vegetables, the label indicates that no toxic pesticides were used. Growers can use approved synthetic pesticides (determined by the NOP), but only after they’ve undergone scrutiny for their impact on human health and the environment. Seeds must also be sourced organically; however, if producers need seeds that aren’t commercially or geographically available, or in a particular quantity, they can source non-organic seeds that are non-GMO and haven’t had prohibited substances applied to them, Harsh says. For meat and dairy, organic regulations require that animals are raised in conditions that allow their natural behaviors, are fed 100 percent organic and are not given antibiotics or hormones. Becoming an organic producer is a decision that’s not taken lightly. It takes planning and time, especially given the meticulous records organic producers are required to keep. And if a farm is moving from conventional to organic, it must undergo a 36-month transition period. Fronting the money to become organic is another issue. According to the USDA’s National Organic Program (NOP), the cost of becoming an organic producer can range from several hundred to several thousand dollars, depending on the size and type of operation. Organic producers must pay to hire a certifier from a third-party organization accredited by the USDA – there are currently about 80 — to inspect their operations (requirements to become a certifier can be found here). 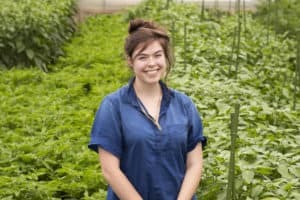 While not all inspectors have farmed themselves, most have some agricultural background, and they are often independent contractors who may work for several different certifiers, says Raoul Adamchak, manager of the student farm at the University of California – Davis and a former contract organic inspector. All of them undergo training through the International Organic Inspectors Association. Though not astronomical–for instance, the majority of inspections through California Certified Organic Farmers (CCOF) in Santa Cruz, California, one of the largest accredited organic certifying organizations, cost less than $550– certification and regulation costs are just the tip of the iceberg. The inspection evaluates soil fertility, pest management methods, storage and preparation systems, as well as records documenting the farm’s practices, to be certain that they comply with government requirements. Inspectors must also do analytical testing on at least five percent of the products among the total operations they certify every year, says Mark Lipson, senior policy and program specialist with the Organic Farming Research Foundation in Santa Cruz, California. If inspectors find minor non-compliance issues, producers are are told what actions they must take to remain in compliance. If, however, there have been serious violations, such as the use of a prohibited material, decertification may be recommended, but the decision is ultimately made by the NOP, Adamchak says. Fines may also be handed down in some cases. While, organic farmers can get up to 75 percent of these certification costs reimbursed by the USDA Organic Certification Cost-Share Program (at least as of press time), “farming practices, including fertilizer, are more expensive on organic versus conventional farms,” says Adamchak. And labor costs are also seven to 13 percent more than those for conventional farming, according to a study published in the Proceedings of the National Academy of Sciences (PNAS). Researchers attribute the increased labor costs to more resources being devoted to mechanical pest control (which could mean anything from building fences or barriers to weeding–any method of pest control that does not harm the ecosystem), greater diversity of enterprises, and the need to develop new marketing and processing activities. That hasn’t turned farmers away, though. According to a USDA report, the number of certified organic farmers and producers in the United States grew by 13 percent from the end of 2015 through 2016, the highest annual growth rate since 2008. Its latest figures reveal that there are 26,401 certified organic operations in the United States, 41,198 around the world. Estimates suggest that organic production will account for 6.5 million harvested acres in 2018, up two percent from the previous year, according to Mercaris. So what’s drawing farmers in? For starters, higher profits. Only farmers who are certified through the NOP can use the official USDA organic seal on their products, which often retail for more than their conventional counterparts. Even though yields are lower in organic than conventional agriculture, organic is 22 to 35 percent more profitable, and consumers are willing to pay a premium of about 30 percent for organic foods, per the PNAS study. There are some farmers, including those who have farmed this way their entire life, who are also committed to the sustainable agricultural practices on which organic has staked its reputation. “Organic techniques reduce pesticide use, and because harmful synthetic fertilizers aren’t used, there’s less nitrogen run-off in the environment,” Adamchak says. Nitrates from conventional farms contaminate surface waters and cause rapid algae growth, which kills fish and other aquatic organisms and causes massive dead zones in the world’s oceans. Nitrates also contaminate groundwater, and when consumed by people, their health can suffer, he adds. Then there’s concern about the soil depletion and loss of soil biodiversity that come with conventional agriculture. “After years of conventional practices, many producers have seen their yields decreasing and soil being depleted, so they implement organic practices to build soil health and create soil biodiversity,” Harsh says. Farmers, by the way, don’t have to become certified to call themselves organic. Although they can’t use the USDA’s certified organic seal, they do have to meet two requirements: Gross sales of organically produced foods must be less than $5,000 per year, and they must follow NOP standards. Although the word organic conjures up a Norman Rockwell-type picture of American farm life, not all consumers believe it’s a true reflection of reality. In spite of growing consumer demand, only 26 percent of consumers say they trust organic food labels, according to a Mintel report. Turns out, that mistrust may be misplaced. “Consumers should trust the label, as it’s a robust control system in place around the world,” says Miles McEvoy, former deputy administrator of the NOP. Of course, McEvoy admits that it’s not a perfect system, and issues–such as parties’ fraudulently trying to score an economic gain by claiming products are organic when they’re not–occur throughout the system worldwide. In 2012, a USDA study revealed that 39 percent of 571 samples of domestic and imported organic produce contained pesticides. The study authors suggested that the reasons for this were that some were mislabeled conventional produce while others were organic produce that hadn’t been properly protected from banned pesticides. However, there’s a catch: It wasn’t until 2013 that the NOP began requiring its certifiers to test at least five percent of its certifying operations, a practice that now helps to ensure that organic producers are remaining on the up and up. In fact, studies support the claim that organic foods contain fewer toxins than conventional versions. In one study published in the British Journal of Nutrition, conventional crops were four times more likely than organic ones to contain pesticide residues. Another recent study published in JAMA found a reduction in cancer risk among those who consumed a large quantities of organic food. While some producers might be cutting corners and allowing unapproved pesticides into the organic food chain, Lipson says that, “With the industry growing as it is, enforcement has to catch up, but the system is extensive, and it’s not easy for people to get away with cheating.” However, the fact that inspectors are not employed by the USDA, nor is the sampling monitored by USDA employees, inspections and samplings of organic farms may be considered less than rigorous by critics. Contaminated soil may be another way conventional pesticides are showing up in organic foods. Because of drift from neighboring farms and residue from chemicals used 40 or 50 years ago, the soil may simply not be as pristine as it once was. “You can probably find breakdown products of DDT in a range of soils, some of which could be organically farmed, although the concentration would be low and any harmful health effects would be greatly diminished,” Adamchak says. Even though he agrees that not having all products or soil tested is part of the problem, testing every year would get expensive. “Depending on how testing was structured, it could be too expensive for small growers to afford to stay in business,” he says. But pesticides aren’t the only concern. In 2017, for instance, the Washington Post exposed Aurora Organic Dairy, a U.S. milk producer that supplies retailers including Costco and Target, for not meeting USDA organic grazing standards. Aurora was allegedly not allowing cattle to graze as much as they should have during growing season. Tests on Aurora’s milk later confirmed that their cows were eating little grass. Why wasn’t this caught during the farm’s annual inspection? Because inspectors, who are scheduled in advance, didn’t inspect the farm until November, which was past the grazing season, so they would have had no indication that the cows weren’t grazing enough. Although a complaint was filed, the USDA closed the case, stating that it had found no violations of organic standards. Cheating may not be easy in the United States, but in other countries it’s a different game. With the organic market commanding such high prices, fraud is rampant in the imported organic market, especially in countries like Turkey and the Ukraine, which is alarming when you consider how much organic food the United States imports (see here and here). In 2016, the United States imported $1.65 billion of organic foods that are tracked from 87 countries, according to the USDA. Bananas, coffee, olive oil, corn and soybeans were the top five imports. One of the biggest offenders is imported organic grain, mainly used as livestock feed for organic poultry, meat, dairy and eggs, grain that then gets relabeled as U.S organic. Since it began monitoring imported grain in 2015, OFARM has filed complaints with the NOP about five ships carrying suspicious organic cargo. Three of those ships were identified in a Washington Post investigation in 2017, including a shipment of soybeans that sailed from Ukraine and Turkey to California. (The United States imports about 70 percent of its organic soybeans and 40 percent of organic corn, most of which goes to livestock feed, Bobbe says.) At the start of their journey, those soybeans were pesticide-sprayed products priced at conventional rates. Yet, by the time they arrived in California they had been transformed into organic, as documented by receipts, invoices and shipping records, their value having increased by $4 million. Blame false certification documents created by overseas operators. What’s going on? Simply put, NOP lacks the tools it needs to crack down on much of the fraud, meaning that the USDA is falling short of enforcing organic standards. “That should worry consumers,” Bobbe says. For starters, because the NOP doesn’t track ships, it doesn’t know where they’re coming from. Secondly, although ships are inspected in ports by customs, border patrol and animal and plant health inspection services, these individuals are not trained in organic and, as a result, have no idea what criteria they should be using to judge whether or not shipments meet organic standards. Plus, buyers who purchase organic products directly from farms in other countries are telling OFARM that if there’s a piece of paper with “organic” stamped on it, they accept it at face value. “Nobody from America is checking farms in other countries to make sure they’re certified, and although it’s difficult to break the law here – inspectors who take bribes can go to jail – it’s not the same in other countries,” says Mischa Popoff, a former USDA contract organic inspector who has been criticized for his controversial opinions regarding his negative view of the organic label. That may explain why an exporter from Costa Rica once successfully stuck the USDA’s organic seal on 400,000 conventionally grown, pesticide-laden pineapples and sold them to the United States and Canada. According to NerdWallet, the USDA never prosecuted. On top of that, NOP has only four auditors (as of last count, Bobbe says) for a roughly $40 billion industry, which means the chances of getting caught are slim. In addition,“Fines are $11,000 per incident, a drop in the bucket when you’re looking at a $4 million dollar profit on this end – and we think there’s considerably more on the other end,” Bobbe says. Catching fraud at the port is just a piece of the puzzle, though. Another piece concerns trade agreements the United States has with other countries. In many of those agreements, countries have agreed to meet the USDA’s organic standards, and the United States has to accept their products as legitimate without doing any inspections. Bobbe points, for instance, to India, which ships large quantities of organic soybeans to the United States. Industry experts who have seen India’s so-called organic facilities tell OFARM that many of them are failing to meet USDA organic standards. While these cases of fraud on imported organics are worrisome, they also point to a deeper problem. “Why are we importing so much organic food?” Lappé asks, “Because we are not supporting our farmers the way we should be. The Department of Agriculture has not prioritized support for farmers to transition to organic or train them in organic practices. 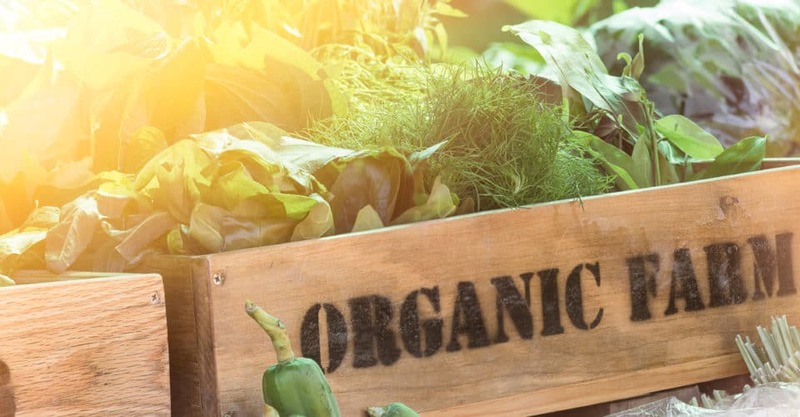 As a result, transitioning to organic is simply not an option for many farmers, and the supply of organic food in the United States is falling far short of consumer demand.” That seems ironic, considering organic practices can aid the economy. According to Lappé, the Organic Trade Association has identified “organic hot spots” in the country, and studies show that those areas of rural America where there’s a higher concentration of organic farming operations have experienced greater economic growth than comparable rural areas using conventional agricultural practices. So where is organic going? By all accounts, up–not only in terms of how standards are regulated and organic products are monitored but also in the amount of food being produced. Industry experts believe the demand for organic products, especially grains, will increase, which is likely to drive an increase in supply. “Organic farms are getting bigger in size, and the bigger you get, the more productive you are, so you can become more profitable,” Torres says. That said, how the ratio between supply and demand will play out is anybody’s guess. Of course, it’s not a perfect system, and organic advocates admit that. “The organic label is built on the philosophy of continuous improvement, and unlike any other system of agriculture in this country, there’s a feedback loop that’s always examining where organic needs to improve,” Harsh says. Take, for instance, improvement in inspector training and certification, which the National Organic Standards Board is currently addressing. On the downside, there’s concern that major food companies could push small farmers out of the market. In March of 2018, for example, General Mills announced that it was partnering with Gunsmoke Farms to convert 34,000 acres in South Dakota to organic land by 2020. Crops on that land will be grown for Annie’s Macaroni & Cheese. Sounds good, right? After all, the more land being switched to organic, the better – until, of course, you consider the impact of large corporations gobbling up small farmers. “Large companies have such a small stake in organics – 95 percent of their revenue might be from conventionally raised foods – which means they’ll have little or no interest or incentive to grow or improve the organic label,” Harsh says. In addition, because these companies are used to conventional supply chains, there could also be issues of co-mingling organic and non-organic foods. But there’s a potentially even worse-case consequence. “They could have enough influence with the USDA to encourage the use of substances in organics that have previously been banned,” Harsh says. Fortunately, consumers can play a significant role in determining the future of organics. First, though, they need to become better educated about what the organic label actually means. “Just like other labels, consumers should investigate what organic means from a chemical and food safety perspective,” says Michael Hurwitz, director of GrowNYC’s Greenmarket. That means understanding that it’s a buyer-beware market, especially when it comes to organic meat and milk, because livestock feed, unless it was grown in the United States, may not actually be organic. While Hurwitz doesn’t trust the organic label on imported foods, he stands behind what the United States produces organically and encourages consumers first and foremost to shop at farmers’ markets so they can talk with their local farmers to learn about their farming practices. Don’t be afraid to ask questions such as what fertilizers they’re using, how they’re controlling pests, and how they’re managing water run-off. And if you hear that farmers are using synthetic fertilizers, ask why. “We’ve noticed that our producers – among our roughly 200 producers, about 10 percent are certified organic while 60 percent practice organic methods – will change what they do based on conversations with consumers,” he adds. Organic experts also advocate that consumers buy organic whenever possible. “Even if you can’t buy all organic, at least buy some, as you’re not only reducing your exposure to chemicals but also supporting the growth of the organic industry,” Harsh says. One helpful tool? The Environmental Working Group’s Shopper’s Guide to Pesticides in Produce, which lists the Dirty Dozen (produce with the highest pesticide contamination) and the Clean 15 (produce with the fewest pesticides). If you’re buying meat, go one step further and look not only for US certified organic but also Certified Humane or Animal Welfare Approved to ensure that you are buying meat produced from humanely raised animals. The one catch? Shopping for organic might get a little more tricky in 2019. In response to the USDA’s allowing some crops grown without soil–namely aquaponic and hydroponic foods–to obtain organic certification, and relaxing its animal welfare standards, farmers have banded together to form the Real Organic Project and create an add-on label to USDA certified organic. The Real Organic Project released provisional standards, including setting guidelines for issues like soil management, dairy grazing, and animal welfare, for its label in May of 2018 and hopes to go public with the label in 2019. In the end, those who care most about the organic label are all striving for the same goal. “Whether you’re a grower or consumer, you want more sustainable agriculture with less impact on the environment, more food to feed people, and a system where farmers stay in business and make a living,” Adamchak says. For many farmers like Adamchak, domestic organic is the perfect fit. The USDA recognizes the following four categories of labels for organic products 100 percent organic: All ingredients must be 100 percent organic. Organic: The product contains a minimum of 95 percent organic ingredients. Up to five percent may be non-organic. Made with organic: At least 70 percent of ingredients are organically produced. Specific ingredient listings: Products that contain less than 70 percent organic can list which ingredients are organic (for instance, a label might read, black beans, water, organic tomatoes).